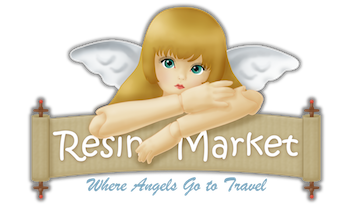 apfemusser's profile - Ball Jointed Doll (BJD) Sales at Resin Market: Sell / Buy BJDs and BJD Accessories! Thank you so much! Blouse arrived safely and was exactly as described. Would definitely do business with again. Cute top that arrived securely packaged and as described. Would purchase from seller again - thanks for a positive buying experience! Exactly as described. Would buy again. Thanks! Great experience and would buy again! The blouse is super cute and really comfortable. It also came with a detachable bow that wasn't included in the pictures or description. Thank you! She responded very quickly and sent the package out in a timely manner. Everything received was exactly as was shown in the pictures. She was polite and I would buy from her again! Bag was in perfect condition, just as described, and the seller sent it out in a timely manner. Thank you! Seller had wonderful communication, and even accepted my offer, which I am really pleased with. Shipped fast and was a joy to work with. excellent, quick seller. Would buy from her again. Great seller! Shirt as described. Thank you! VERY satisfied with this skirt! True to color and description, and fit exactly as I imagined based on said description. Arrived SUPER fast and seller was very friendly. Definitely will buy from seller again! Beautiful dress in great condition shipping was very fast as well, thank you!